Francesca, a Theater Arts Major, sold scripts to both HBO and Paramount before her directorial debut Tanner Hall (2009) with Tatiana Von Furstenberg. The film was an official selection at the Toronto Film Festival (2009). Francesca next wrote and directed The Truth About Emanuel (2013) , which stars Kaya Scodelario, Jessica Biel and Alfred Molina. The Truth About Emanuel premiered in the US Dramatic Competition at Sundance (2013). 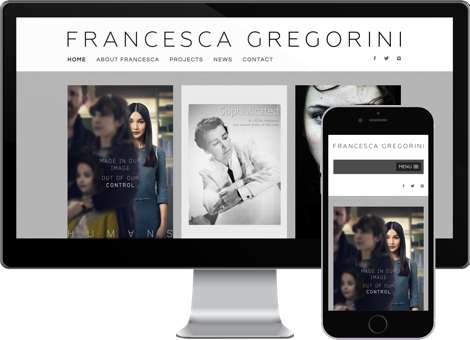 After working with Francesca on her 2013 film “The Truth About Emanuel,” she hired me to design and develop her official website. 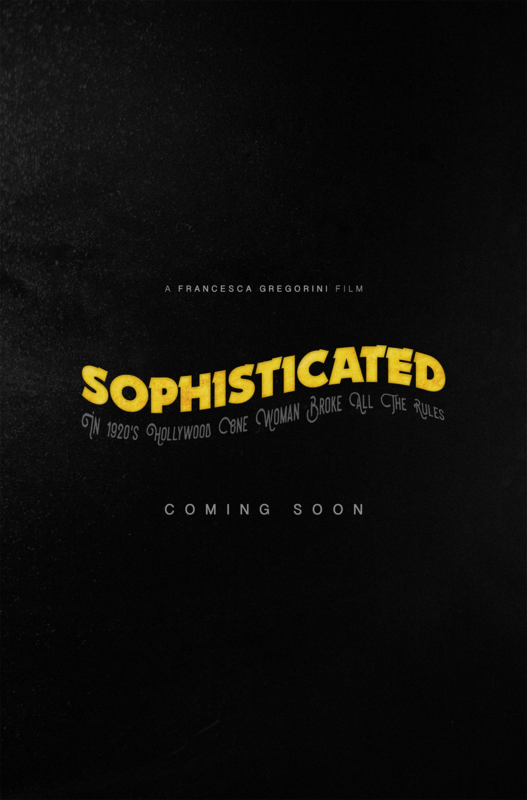 Francesca is no longer associated with Sophosticated. SOPHISTICATED is the semi-fictionalized account of the rise of dashing film director DOROTHY ARZNER through the Hollywood studio system of the 1920s/30s and her tumultuous, long standing, love affair with choreographer, MARION MORGAN… as well as many other starlets along the way. SOPHISTICATED conjures the colorful, well-drawn characters and rhythms of the roaring 20s/30s. We follow Dorothy’s escapades at gay underground clubs, her dalliances with rising stars, cross-dressing, industry scandals, inner circle trysts, always orbiting back to her big and complicated love, Marion Morgan. SOPHISTICATED intends to put the long overdue spotlight on the groundbreaking icon that is Dorothy Arzner, as personally intriguing as she is historically notable.